Day trips with kids are a fantastic way to start building travel confidence for you and your children. Do you want to travel but don’t think you have the time or budget to get away? 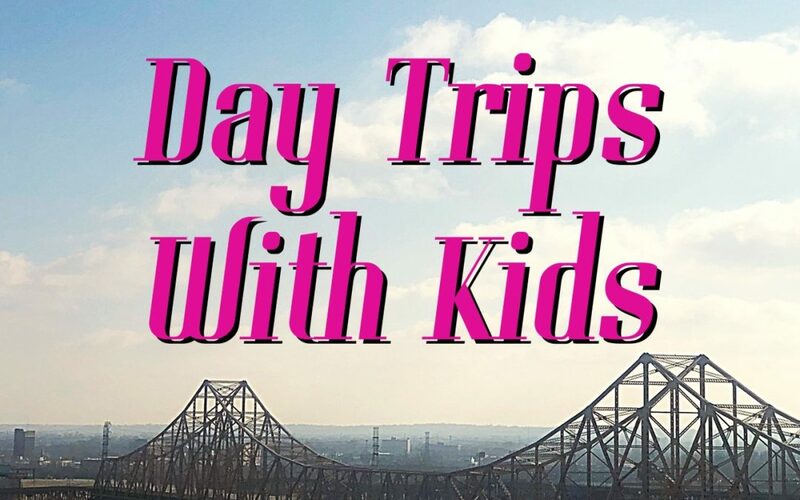 Consider doing a family adventure for the day! I know a lot of moms and dads that think traveling with young kids is out of the question. Here at Mommy And Me Travels, we are living proof that you don’t have to wait for your kids to get older. Don’t put your life on hold and/or deny yourself and your kids the experiences that the world has to offer. 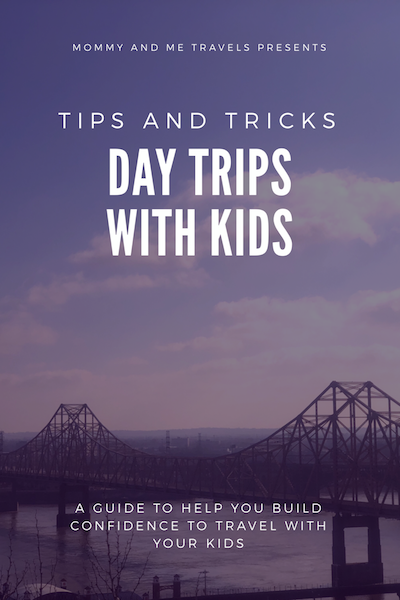 Day trips are a great way to start traveling with your kids that will allow you to start building confidence for those longer trips. First Tip: is to remember that the trip needs to be something you can drive to and from in one day while getting to experience more of the location then of the road. You may ask, how do I decided a good distance to travel? We find that a good length of time on the road is max 2 hours each way. If you try to push much longer than 2 hours, you will quickly realize the younger kids will start to get restless in a car. Day trips are one of our favorite things to do on the weekend. We aim at doing at least one day trip a month. Moving a lot has afforded us the opportunity to experience adventures many places around the United States and the World. One of the first things I do is go to google maps and pin my new location. Don’t move often, no worries, start by exploring the things around you now. Traveling with your children will help them to gain an interest in exploring the world while also gaining an appreciation of trying new things. The earlier you can start them traveling the better! Let’s get started by planning your first day trip! Go to your favorite map website, pin in your location, and print map as large view area. Measure out a point 2 hours (or your ideal time) by driving to the north, south, east, and west. These are your starting points. Draw a circle around your area connecting these points. Now research the towns within your circle and see what hidden gems might be available for you and the kiddos to go explore. You never know what you will find until you look. As a reminder, kids of most ages are not going to enjoy seeing churches and museums (unless of course it is a children’s museum). Finding things that your little ones will enjoy doing will make traveling with them all the more fun. Theme parks, zoos, children’s museums, easy hikes, beaches (if you are in that area), swimming spots, train rides, boat rides, the list goes on and on. Second Tip: Just make sure the day is filled with fun things that your child can touch, feel, taste, and explore. Interactive days will make the trip more enjoyable for you and for them. All of these things should be taken into account during your planning phase. Are you starting to feel overwhelmed about visiting a big city in one day? Don’t be! If within your circle is a big city, try to decide on only 1 or 2 events for the day (make one of them kid friendly). Don’t try to over plan the day and cram too much into one trip. Big cities offer lots of activities and always have new things available to see and do. Third Tip: Alternate day trips between the big city and smaller location. You might visit the big city 10 times before you finish all of the activities but it might take you visiting 100 times also. However many times you decide to visit, try diving into something new each time. This will make the experience feel new and rewarding and not burn you out on the drive and adventures of that city. If you live only within a rural area, don’t feel discouraged. There are many things that are offered at rural locations. Do you enjoy: fishing, hunting, hiking, biking, the list is endless, not to mention that kids usually enjoy all of these activities. Rural areas offer new types of family fun that you can enjoy. Even traveling to a river and hiking downstream for a picnic in a new area will excite the family. Kids also LOVE animals. Make finding birds, butterflies, squirrels, and other animals in your area an adventure for your little ones. It will keep them occupied and probably give you plenty of laughable moments as they try to chase down that bird that they just can’t catch. I know what you are thinking… Pack but I’m only going on a day trip? Even day tripping needs a little planning to ensure a smooth experience for you and your kids. Now that we have covered the above essentials, check out these great tips provided by the travel experts themselves, the kids! Getting out and enjoying family adventures, especially when the kids are younger, helps to build strong family ties and gives you and your family memories that will last a life time. Day trips with kids can sometimes seem overwhelming but I hope that armed with the above information you are ready to tackle this exciting family experience. An added bonus, day trips are normally budget friendly and easy to accomplish. Even traveling just for the day will provide you an experience that you might never have even known about. Eager for more ideas? Check out these guides for planning your family vacation and adventures. How To Start Planning Your Next Family Vacation and Adventure, Tips For Saving Money On Transportation, and Choosing Family Accommodations: Tips From The Mommy Experts! Do you have ideas to share? What are some of your favorite activities on day trips? I’d love to hear from you in the comments below. Here is one of our many fun day trips we took. The Barefoot Park. Thank you for sharing! Am looking forward to hearing more of your journeys and traveling advice. I am a little intimidated to travel so much with my kiddos but you make it seem so easy! PS- Are you from STL? We are too! What a great guide!! When my daughter was young, her and I would take several day trips especially in the summer. This is full of useful information!! I do this with the grandkids especially educational outings. Love the idea of short local getaways for family bonding. And great tip on keeping the trips within a 2 hours so you can enjoy less of the road and more of your travel destination. You’ve inspired me. Good guide for family travel. day trips seem like a good idea. Thanks! We love day trips. I hope you gained some insight for future trips or at least had a laugh at the tips provided by the kiddos.